There are 357 guests and 1 registered user on-line. 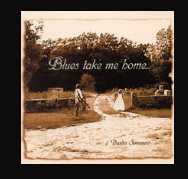 Read about Dusty's CD's and hear sound clips: "Big River Blues" and "Blues Take Me Home..."
Dusty has received his 5th ASCAP writers award and grant! Whoo-hoo! ~Wow that was bleak!!! but true...from 2011.. Updates coming soon! CDBABY CD's 100% donated to the Red Cross! Here is the new linkeroo for Dusty appearances! Note: here's the url for all the download sites all over the world and both CD's are on them! ya have to copy and paste it for the time being! "Man is free at the moment he wishes to be"